Q. How do I use StarPlus to find items in the library? From the results you will be able to find the shelfmark for the item (this will be either a Dewey number or National Library of Medicine number). 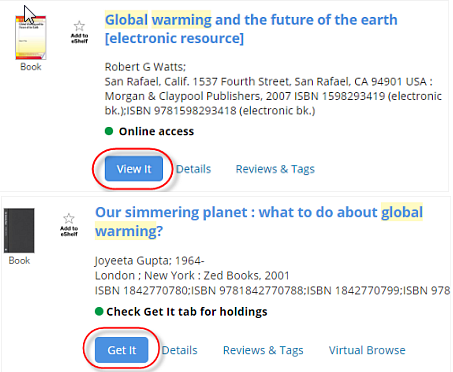 You will also see the location of your item (which library and sequence it is in) and how many copies are available. In the example below, the number at the top (551.61793) is the Dewey shelfmark for the book. We put a shelfmark on each book to show where it belongs in the library sequence, which runs in order from 000 to 999. Each set of shelves in the library has a notice on the end to show which part of the sequence you are looking at. You can check out our FAQ on where to find items by shelfmark at each library site.